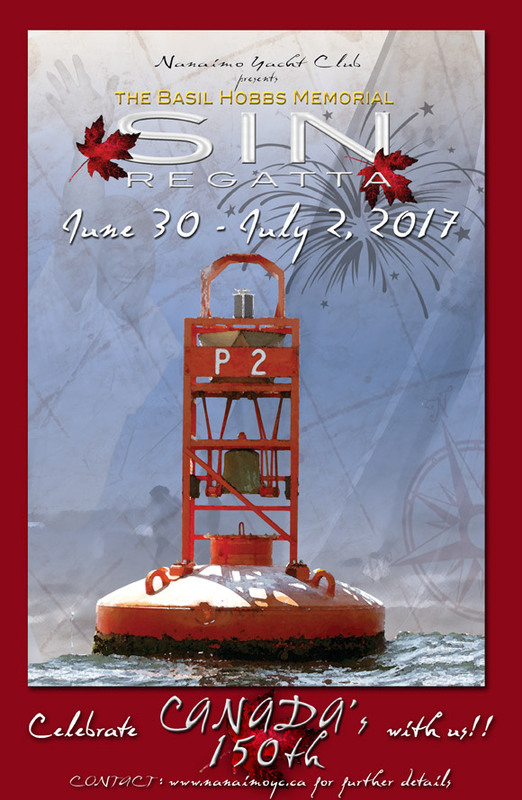 The SIN Regatta offers great racing, serious fun, fantastic value, and a GREAT way to celebrate Canada's 150th! Nanaimo Yacht Club's Snake Island Nanaimo Regatta is now: The Basil Hobbs Memorial SIN Regatta. 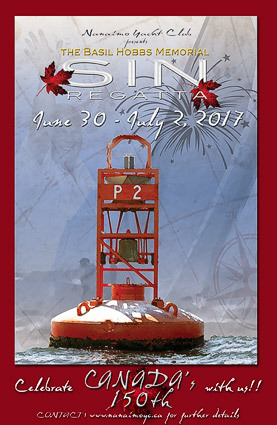 This is a special year, with Canada's 150th Birthday landing in the middle of our regatta. We will be adding family-friendly events throughout the weekend, including a kid's fishing derby, movie nights, and a unique non-competitive sailing event called the Canada 150 Division ... think of a scavenger-hunt / poker-run on the water! All are welcome for this division, singlehanded, fully crewed, families, pirates, mermaids, etc (and no rating certificates needed). Saturday July 1st will see a fireworks display on the waterfront, with the NYC docks being front-row viewing. See the Canada 150 Family Fun Division poster here! Update 27/06/2017: The Canada 150 Division will not be run this year, but a similar event may be run in future years. Racers will have divisions and courses tuned for different boats. A Cruiser/Racer division is planned for boats that are not fully race prepared and crewed, but want to participate in a race regatta (no PHRF rating certificate needed for this division only). One-designs are welcome (see below for an early-bird enticement for one-design classes). Multihulls and faster monohulls will have new course options this year, including longer distance courses around Halibut Bank... come for the Party... race for the Halibut! Regular registration is just $70, and this is reduced to $50 for early-birds completing registration and payment before June 5th. As a special enticement this year... if five or more boats register to create a one-design division before the early-bird date, the 1st five registered boats in this division will have their registration fees fully refunded! The early-bird prize this year is a Mustang Elite Hydrostatic PFD, generously donated by The Harbour Chandler ($320 value).